Treat yourself to the creamy rich goodness of papayas! 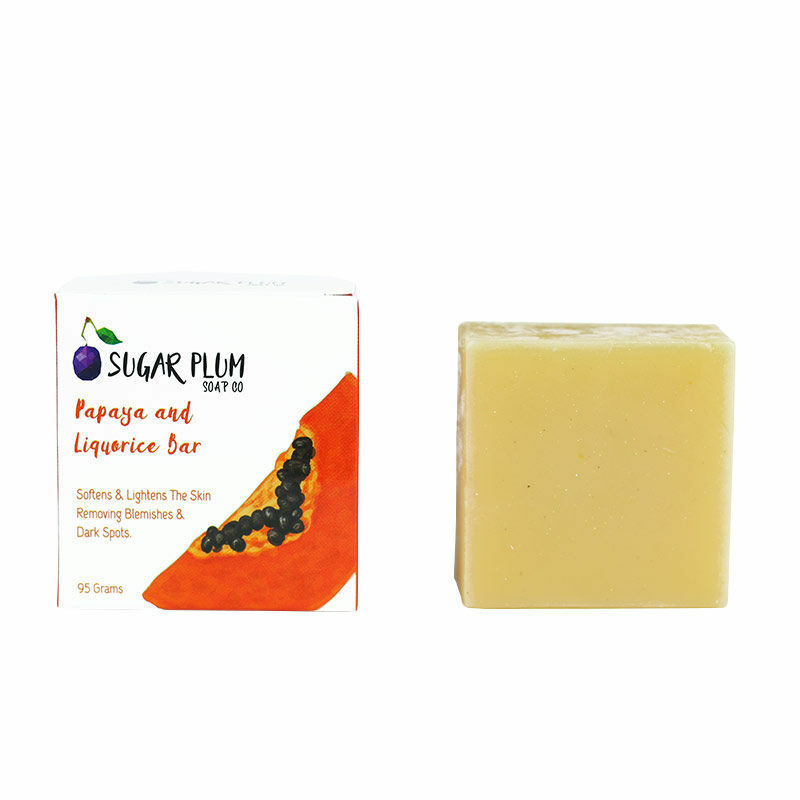 Sugar Plum Soap Co. Papaya Liquorice Bar is packed with papaya extracts and vitamin E to give you a smooth and bright problem-free skin. This soap moisturises and lightens the skin and gets rid of blemishes and dark spots. Papayas in it softens and brightens the skin and keeps it free of blemishes. This soap exfoliates the skin and removes dead skin cells and impurities and makes it clean and fresh. Enriched with skin brightening natural ingredients this soap will also make your skin brighter and lighter, while lending you a beautiful glow. This soap also treats sunburns and keeps the skin protected from the sun.